Daniele brought a couple of bottles of this from near his home in Romagna, when he visited early in 2010. 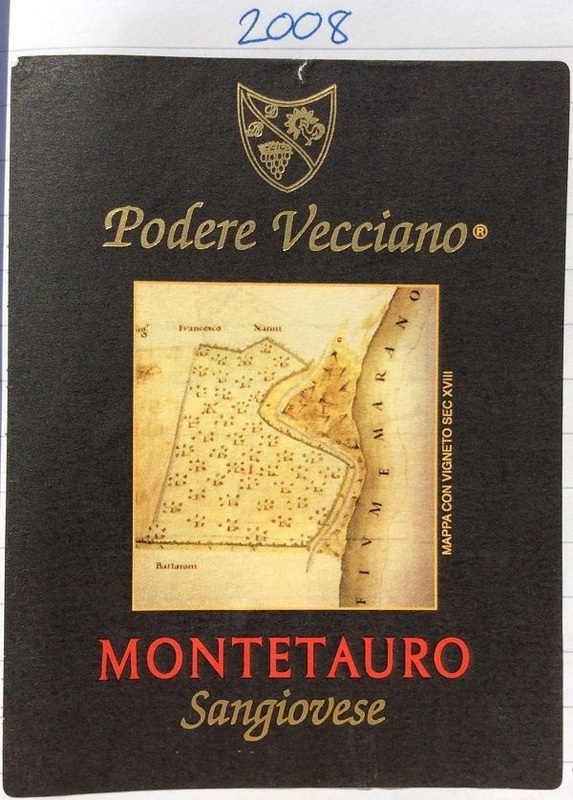 An IGT, to distinguish it from its oak-aged DOC big brother, this was a really impressive, easy drinking, yet charming Sangiovese that represents great value. Unquestionably. A more-than-medium purple-cherry colour, with slightly toasty (almost yeasty) notes with a small touch of grilled meat – all over some rich black & sour red cherry notes. Decent amounts of complexity. Slightly sweet & sour cherry fruit palate with some plumminess too. Acidity keeps the sour cherry through the med+ length finish. Peppery, medium-weight (at max) tannins come through the finish. Nice with a tomato and red pepper sauce that SJ and I had with Red Snapper fillets and the second bottle!